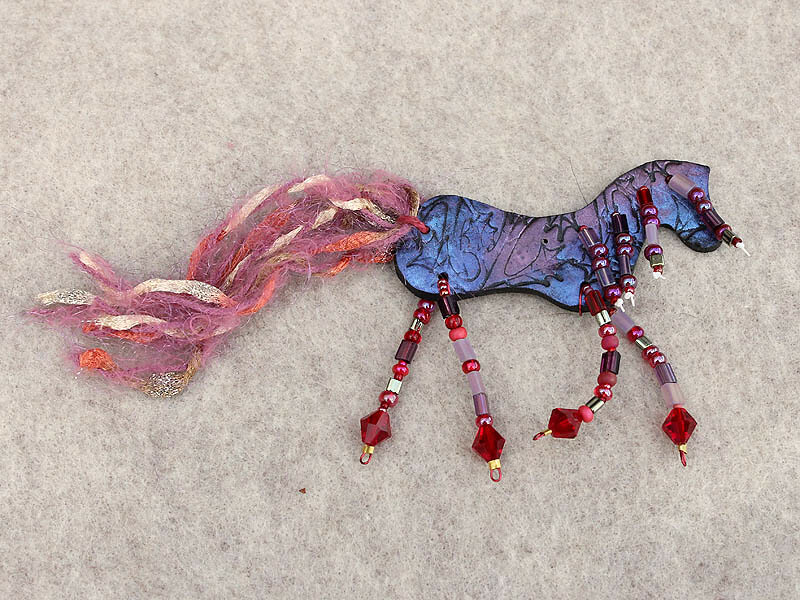 Each Spirit Horse is one of a kind, handmade of clay, wire, beads, and yarns picked up from around the world. They're fun and whimsical; they shimmer different colors in different light. You can bend the legs to stand straight, trot, gallop, or fly. If it's a pin: spruce up your outfit for dinner out on the town or the Oscars. Or, if it's a pin or a magnet, hang your Spirit Horse in your home or horse trailer for good luck. Each pin is approximately 3" long by 3" tall. . . not counting the long fluffy tail.